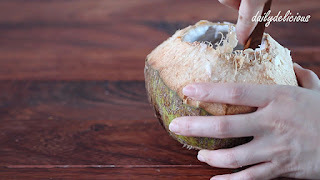 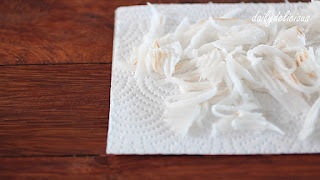 I know that it's not easy for some people to find young coconut ^^, but if you can get it this cake is one of the best way that you can use it. 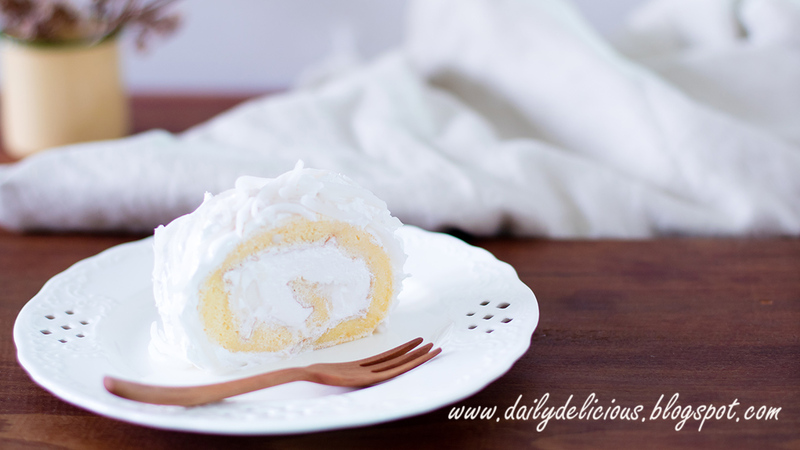 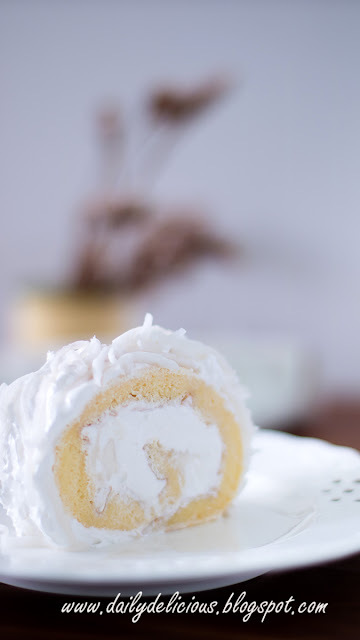 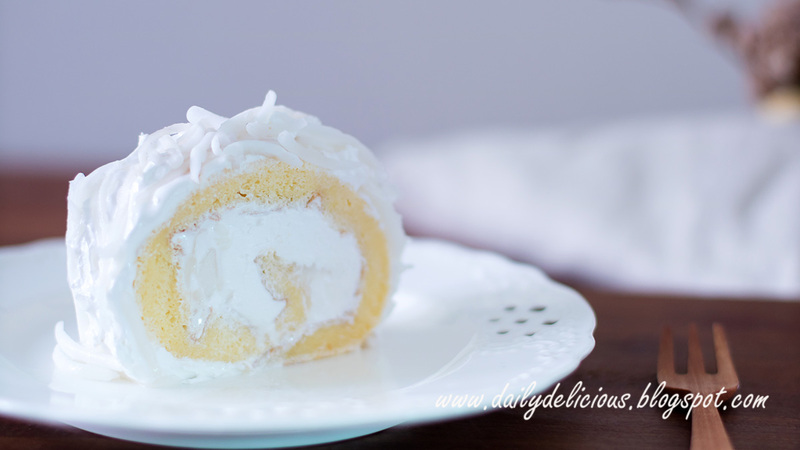 Soft and light chiffon cake with light and fluffy seven minutes frosting, it's a combination that goes very well with rich fresh coconut meat. Because this cake is so light, you will finish one piece in no time (well, I can finish 2 pieces in no time too, haha). 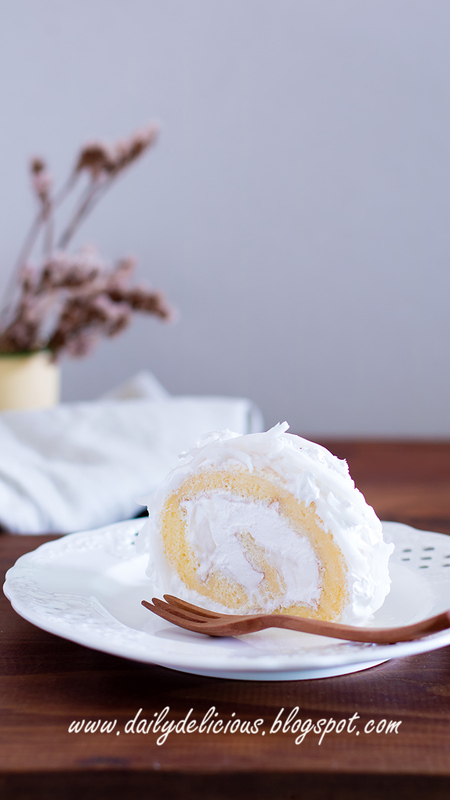 Chiffon cake is very easy to make, for this time, I add one more egg white into the recipe to make the cake softer than usual. 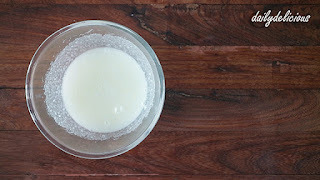 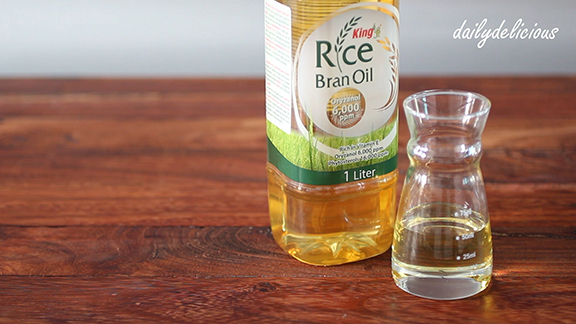 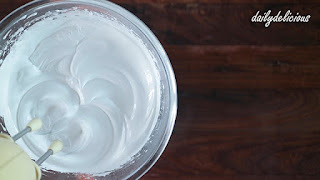 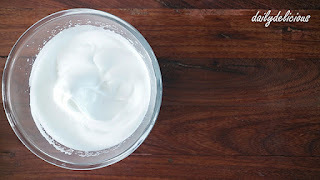 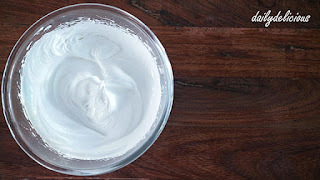 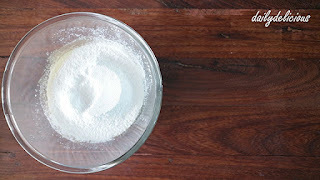 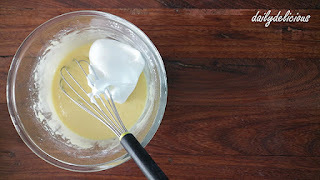 I choose coconut liquor for adding coconut fragrance into the cake and frosting, but if you don't have it (or don't want to use it), you can use vanilla extract instead. 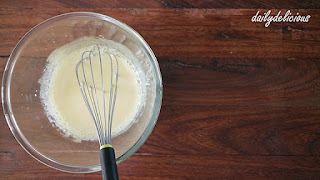 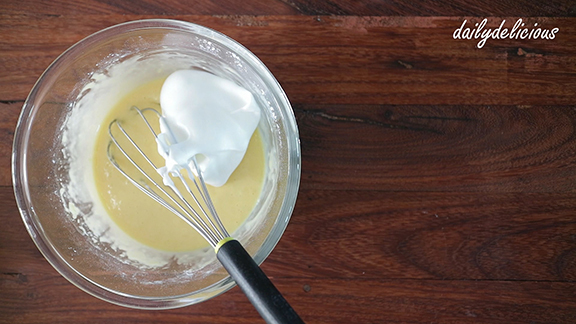 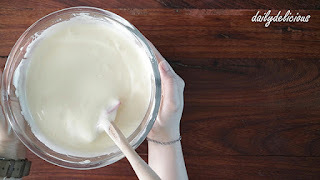 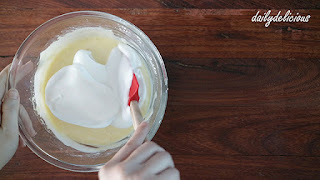 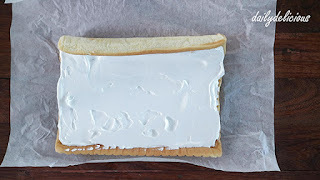 Making seven minutes frosting is very easy too, just mix all the ingredients together and beat it over boiling water for (as the name said) seven minutes and you got sweet and delicious frosting for using with many kinds of cake. 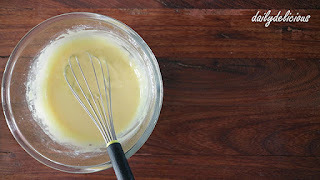 But the only thing that you have to remember is, you need electric hand mixer for this job, whisking by hand is not fast enough ^^". 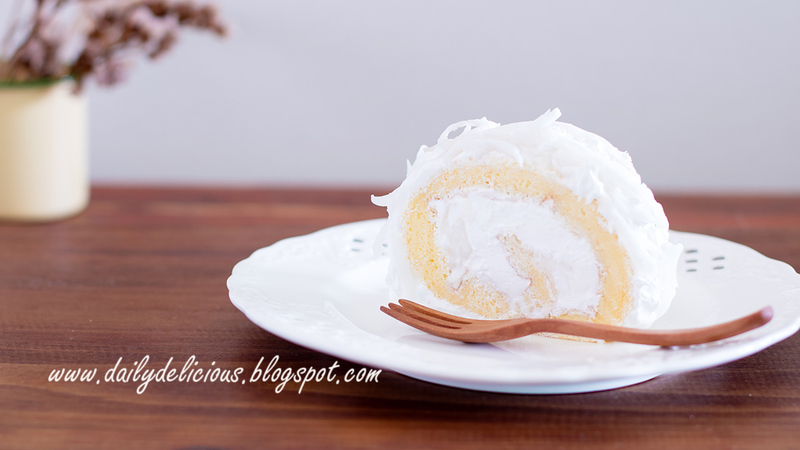 Serve it with a cup of hot tea is the best (for me). 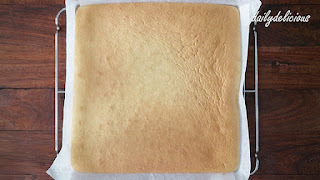 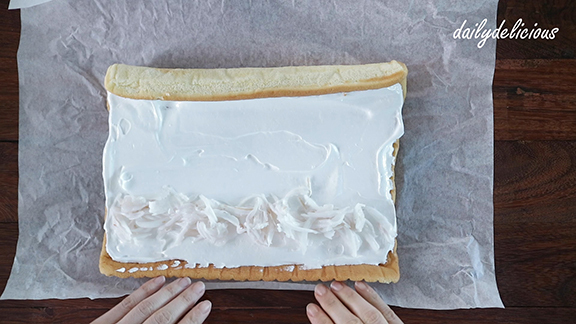 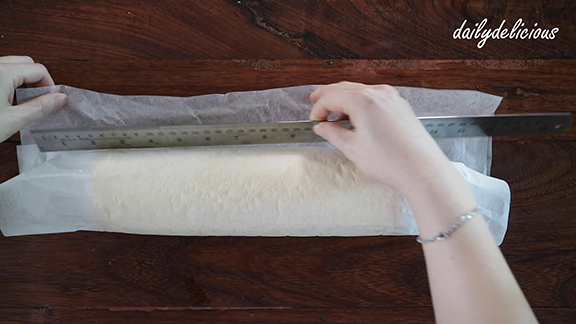 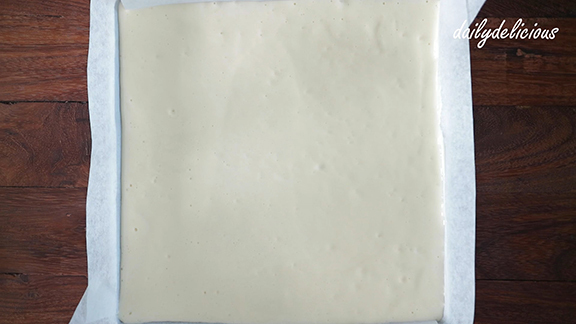 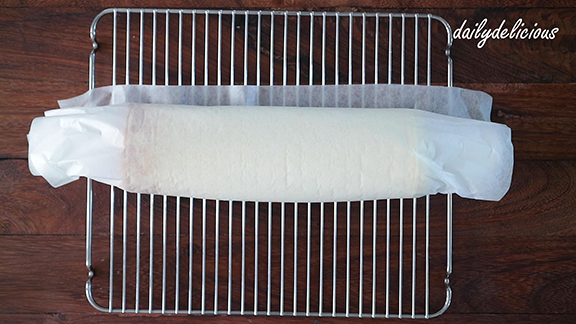 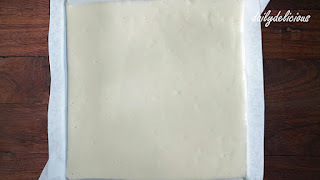 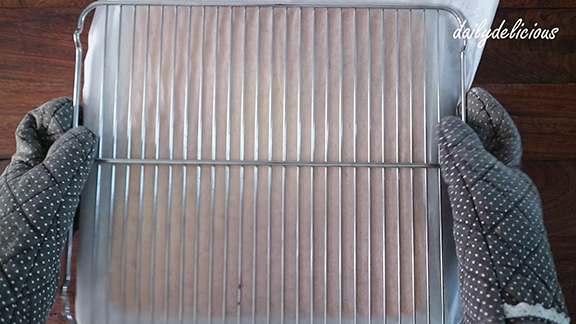 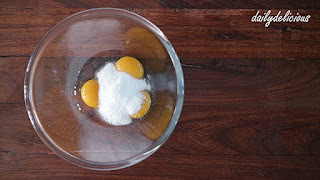 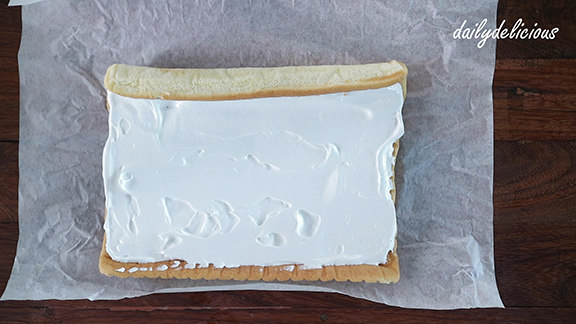 Place another sheet of baking paper on top, and reverse the cake and remove the old baking paper.Place another sheet of baking paper and reverse the cake again. 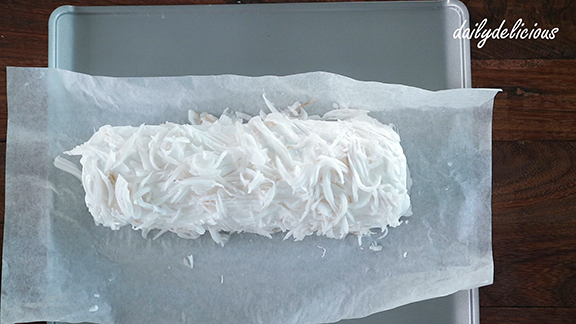 Spread the frosting over the top and side of the cake, and sprinkle the coconut meat over the cake.